Special Offer: A discount of 5% is available when you order 6 items or more of selected products. Duncan Hines Signature Red Velvet Delicious Moist Cake Mix 468g. 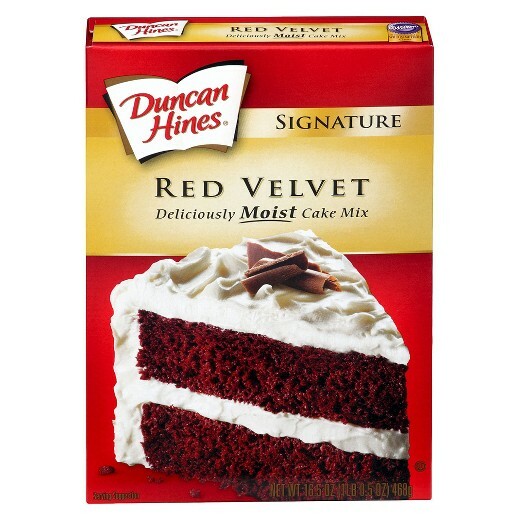 The Original and the Best Red Velvet Cake Mix. Prep: PREHEAT oven to 350°F for metal or glass pans, 325°F for dark or coated pans. GREASE sides and bottom of each pan with shortening. FLOUR lightly. (Use baking cups for cupcakes). Mix: BLEND dry mix, water, oil and eggs in large bowl at low speed until moistened (about 30 seconds). BEAT at medium speed for 2 minutes. 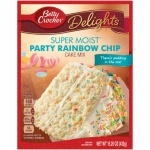 POUR batter in pans and bake immediately. Bake: BAKE following chart below. Add 3-5 minutes to bake time for dark or coated pans. Cake is done when toothpick inserted in center comes out clean. COOL in pan on wire rack for 15 minutes. Cool completely before frosting. 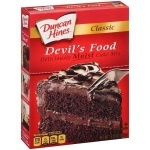 Sugar, Enriched Bleached Wheat Flour (Flour, Niacin, Reduced Iron, Thiamine Mononitrate, Riboflavin, Folic Acid)Vegetable Oil Shortening (Partially Hydrogenated Soybean Oil, Propylene Glycol Mono- and Diesters of Fats, Mono- and Diglycerides)Cocoa Powder Produced from genetically modified maize.